If you ever get the question "which common amphibian was used as a pregnancy test in the 1930s?" at pub trivia, you're going to want to kiss me after reading this. 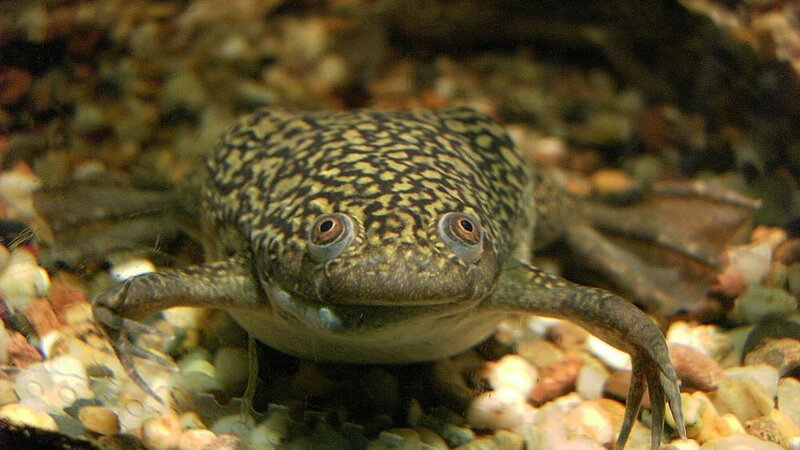 The answer, rather extraordinarily, is the South African clawed frog. A lady frog, to be specific. In the 1930s, a British scientist named Lancelot Hogben made a discovery that would change the course of reproductive history. The experimental zoologist found that injecting the urine of a pregnant human into the frog's hind leg worked as an effective pregnancy test. If the woman who supplied the urine was pregnant, the frog would ovulate and produce eggs. It was the presence of a human hormone we now call human chorionic gonadotropin (hCG) that triggered the release of eggs, usually within a 12-hour period. The frog pregnancy test, named the Hogben Test quickly became popular. By the 1940s in Britain, there were three specialized centers covered by the National Health Service (NHS) where doctors would send urine samples to get tested. Women could not send their samples directly; in fact, if they tried to, they would not be tested. These early centers were reserved for medical emergencies, like distinguishing between pregnancy and the growth of a tumor. They were by no means an easily available pregnancy test. The Hogben Test was, for quite some time, the only humane way of using an animal to detect whether an adult lady woman was "in the family way," in the common parlance of the day.